Stylish pied a terre located at The Rob Clark. 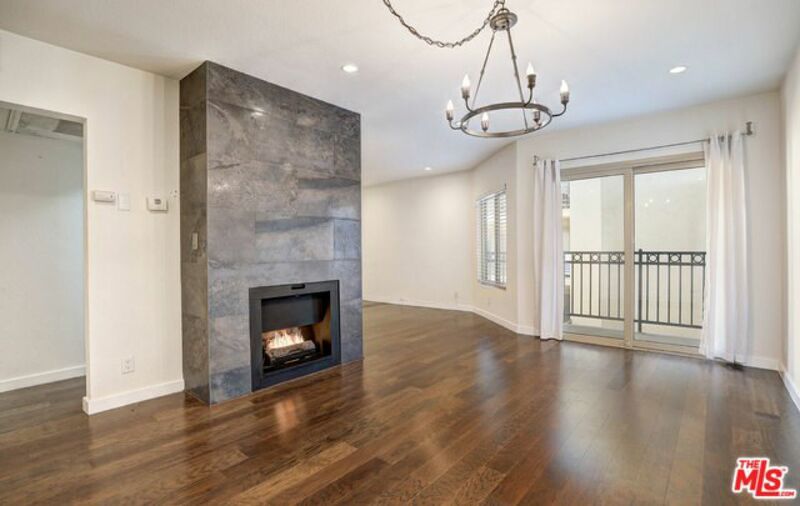 Numerous details abound in this luxury retreat featuring an open floor plan, stone clad gas fireplace, hardwood floors, designer tile, washer / dryer and private balcony. Amenities of the complex include pool, gym, community laundry, gated garage parking and controlled access. Premium shops, cafes and the services of West Hollywood and Beverly Hills are in close proximity to this Westside enclave. Home has found a new destination.